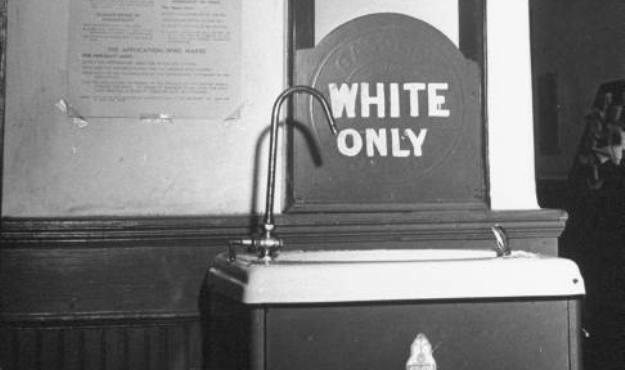 CINCINNATI (AP) — A landlord found to have discriminated against a black girl by posting a "White Only" sign at a swimming pool wants a state civil rights commission to reconsider its decision. The Ohio Civil Rights Commission found on Sept. 29 that Jamie Hein, who's white, violated the Ohio Civil Rights Act by posting the sign at a pool at the duplex where the teenage girl was visiting her parents. The parents filed a discrimination charge with the commission and moved out of the duplex in the racially diverse city to "avoid subjecting their family to further humiliating treatment," the commission said in a release announcing its finding. Several witnesses confirmed that the sign was posted, and the landlord indicated that she posted it because the girl used in her hair chemicals that would make the pool "cloudy," according to the commission. Hein, of Cincinnati, hung up when The Associated Press called her for comment Tuesday. A message was left at her lawyer's office. Commissioners were scheduled to hear Hein's request for reconsideration at a meeting Thursday in Columbus, commission spokeswoman Brandi Martin said. If the commissioners uphold their original finding, the case would be referred to the Ohio attorney general's office, which would represent the commission's findings before an administrative law judge, Martin said. Penalties in the case could include a cease-and-desist order and even punitive damages, but the administrative law judge would determine any penalties, Martin said. It still would be possible for the parties to reach a settlement before resorting to legal action, she said. Any decision by the administrative judge could be appealed to Hamilton County Common Pleas Court in Cincinnati, Martin said.